As the mighty Mississippi River branches around Minnesota's historic Nicollet Island, this charming country home lies unabashed on its westward-facing curve. From evenings past, the lulling sounds of river boats, barges, and other water traffic would have brought a quietude to summer dwellers trying to escape the heat by taking advantage of the river's cooling air. Today, with its view of the river largely untouched by modernity, this restored country home is nestled on a quiet corner of the island. Any twenty-first-century sounds are hushed with a buffer of mature trees, a cobblestone driveway and plenty of green spaces. Saving it from demolition in the 1980s, owner Jeffery Siegel transferred this historic home to its current island domicile because he wanted "a fun country home on a famous island." 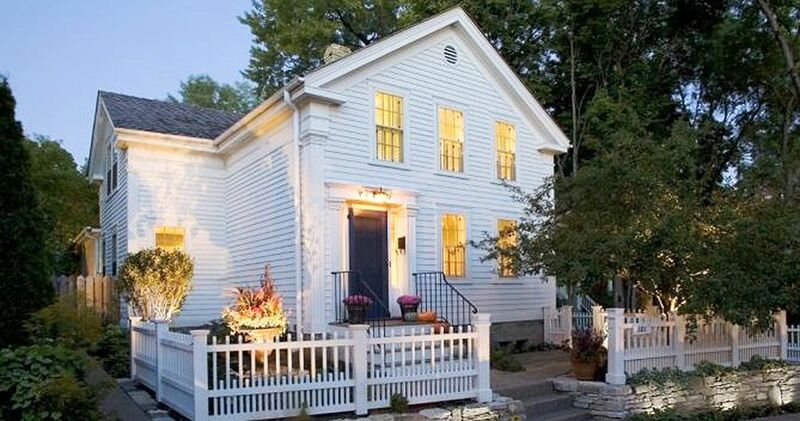 Based on turn-of-the-century photos, a reconstructed white picket fence welcomes strolling neighbors who might want to sit a spell and enjoy the river’s gentle breeze. 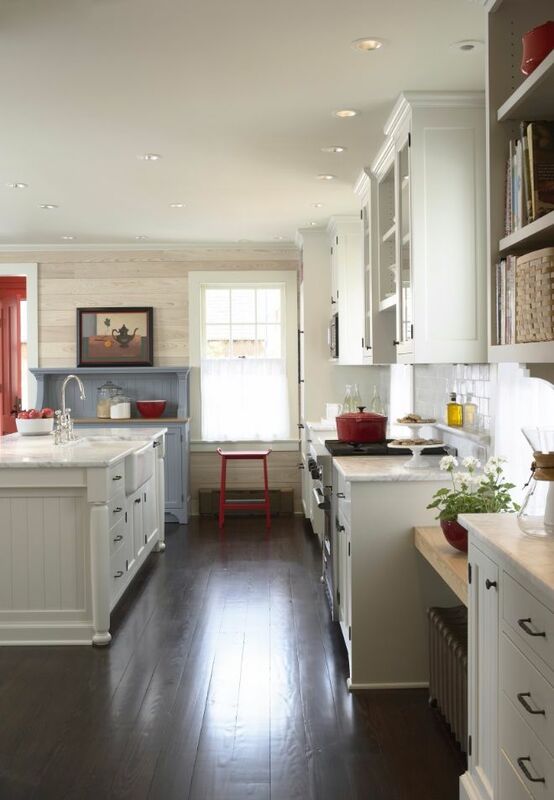 The home's updated and roomy kitchen harks back to farmhouse living. 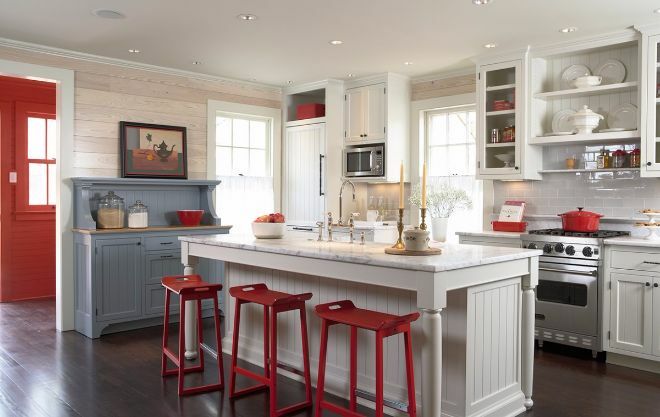 Beadboard cabinets alternate in colors of warm white and weathered blue, with wood and Carrara marble countertops adding a combination of elegance and simplicity. Cottage legs hold up a wide center island that begs for breakfast with coffee, cream, and powdered sugar donuts. A curved necked, vintage-looking faucet takes center stage on the rich gray and white Carrara marble counter. 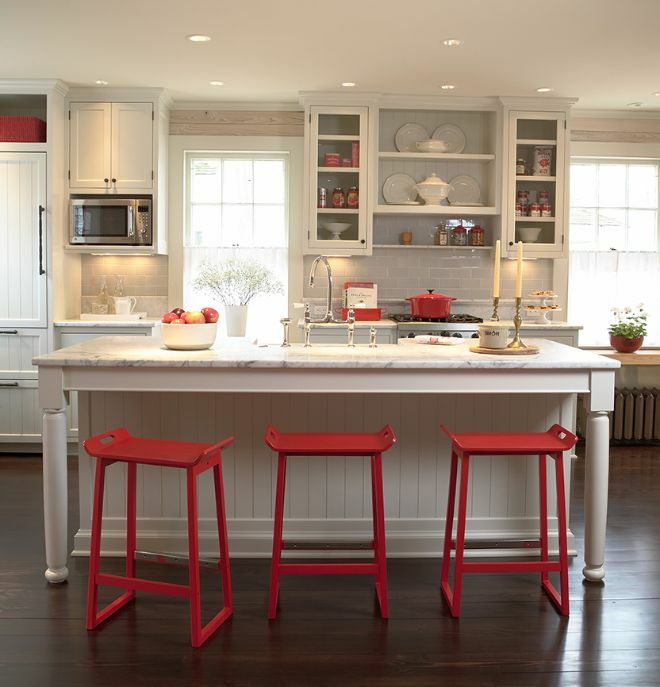 Homemade touches, like hand-woven baskets, white geraniums, and apple-red cookware are highlighted with strategically placed recessed lighting. Originally, a summer kitchen sat behind the home. Reassembled as a mud room, it's now attached to the back of the house. 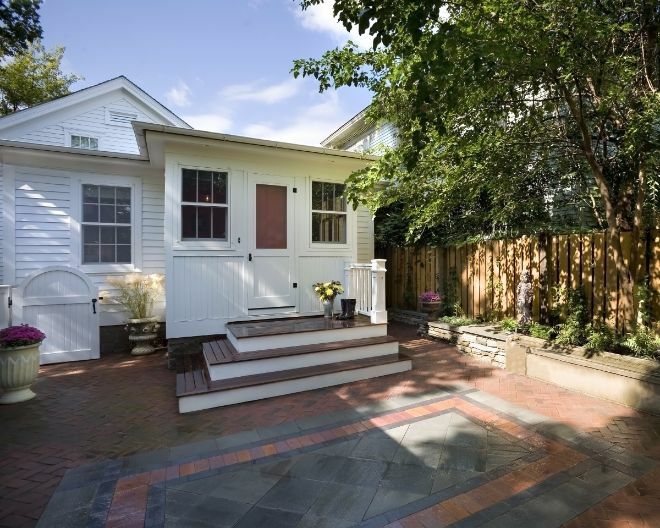 As a buffer from the kitchen to the backyard, the mud room connects to the meticulously laid patio, which can also be reached though a swinging garden gate. Note the period details of this former summer kitchen with its closely hung windows and top-open door. 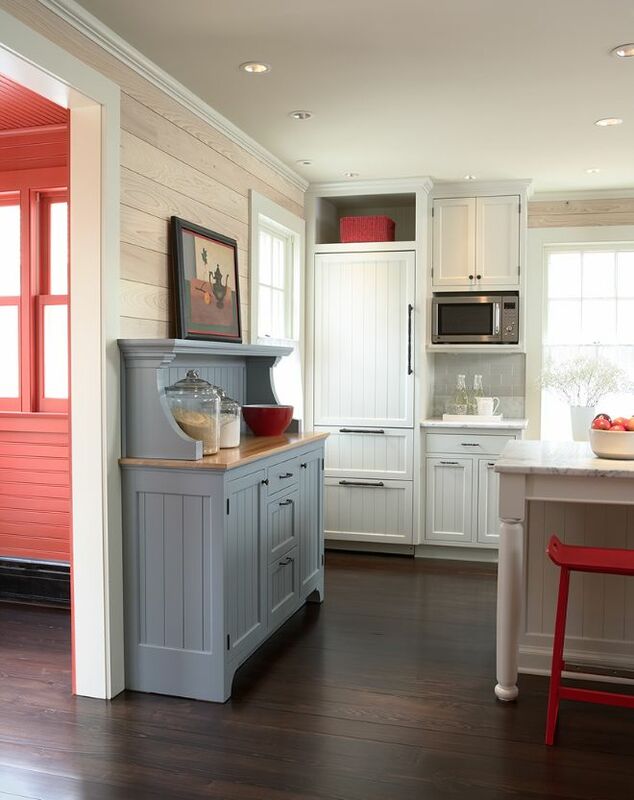 Nothing says country charm like wide-planked painted floors. 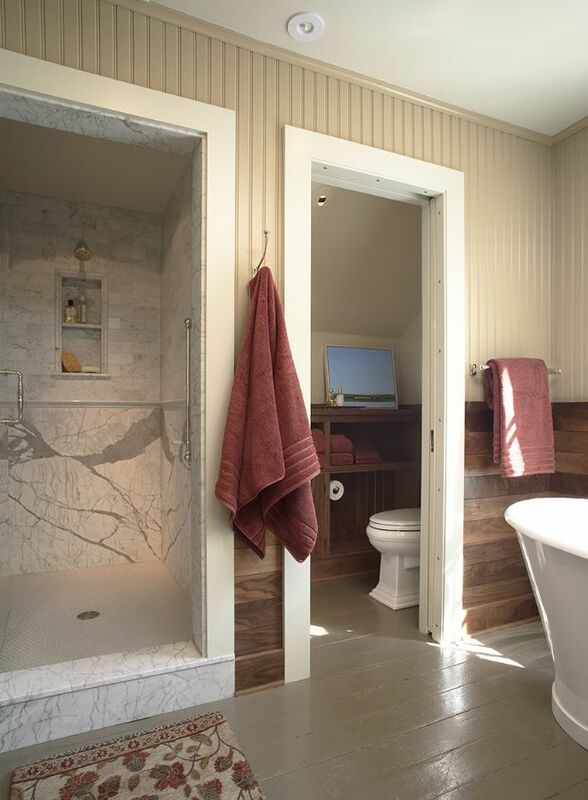 Hewn from pine, clay-hued boards in the bathroom add a softness underfoot. 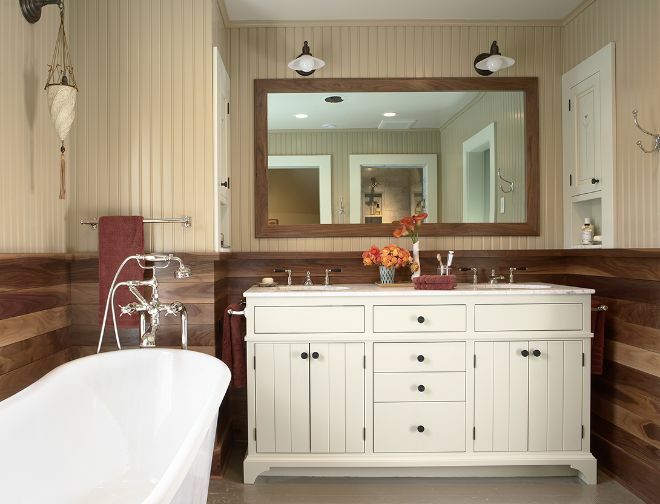 Biscuit-colored paint frames the walls of this spacious bathroom that never loses its sense of cozy country style. A handheld water nozzle is an invitation to leisurely baths, soaking in a deep, claw foot tub. 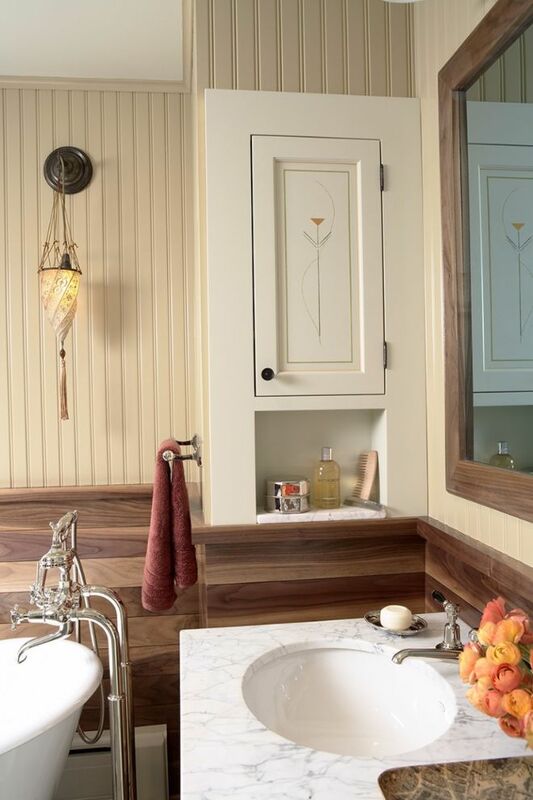 A marble sink gleams under the cleverly situated medicine cabinet, with a flair of art deco on its door. Are you in love with this remarkable country farmhouse? Let us know on Facebook, and make sure to share this post with your friends!